After a massive refurbishment, part of a major redevelopment plan known as FuturePlan, the V&A has opened its new suite of permanent galleries Europe 1600-1815. This outstanding free permanent exhibition looks at British and European arts and crafts over a two-hundred-year period, showing the complexities of Britain's relationship with Europe and the wider world. Credit: Copyright image by Frances Spiegel. All rights reserved. The Victoria and Albert Museum has one of the world's most comprehensive collections of items created in Europe between 1600 and 1815. This new exhibition features more than a thousand objects. It includes items commissioned by important and wealthy clients, such as Napoleon, Catherine the Great, Marie Antoinette and Louis XIV. Many of the items were created by Europe's best craftsmen and artists. For example, these intricately decorated gauntlets, made for show, rather than for the battlefield, may have been part of a suit of armour made for one of the sons of Philip III of Spain. Topped with colourful silk fabrics and ostrich feathers, the suit was probably worn in a pageant before being displayed in an armory or cabinet. 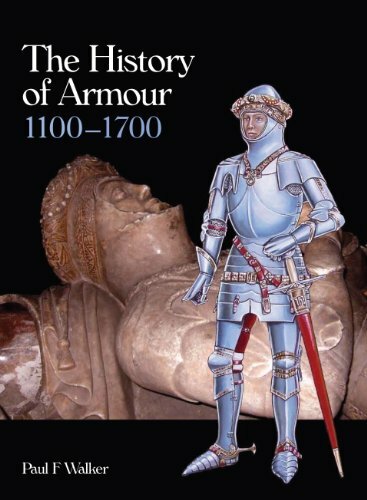 This Kindle edition tells you all you would ever want to know about armour from 1100-1700. Room 1: Luxury, Liberty & Power, 1760-1815 – At this time Neoclassicism was the most popular style, almost certainly inspired by recent archaeological finds in ancient Rome, Greece and Egypt. Room 2A: The Masquerade – this gallery examines the 'Grand Tour' embarked on by most young aristocrats to complete their education. One of the many Italian cities on the route was Venice. During the 18th century the city was renowned for its grand masquerade held at Carnival time. Rooms 2 & 3: City & Commerce, 1720-1780 – In the early18th century French cuisine became especially popular. We also see the rise of Rococo, a playful decorative style sometimes inspired by Asian themes and fantasies. Changing fashions saw the increasing use of accessories, including fans, canes and snuffboxes. Credit: Copyright image by Frances Spiegel. All rights reserved.As well as having a practical job, these items also had a language of their own. By holding them, or gesturing with them in certain ways, their owner could communicate with those around them. In the 18th century, it was mostly the women that carried fans, while the men carried canes. This fan depicts the Triumph of Harlequin. It dates from about 1750 and comes from Rome. It's a watercolour painting on leather with mother-of-pearl sticks. Room 4: The Salon – This section looks at the roots of the movement known as the Enlightenment. Many of the ideas that formed the core of this intellectual movement were born in the salons of 18th-century houses. Room 5: The Rise of France, 1660-1720 – In the early 18th-century Louis XIV promoted France through the arts and crafts. French workshops produced luxury goods for home and export, thus making France a leading European power. Room 6: The Cabinet – This section shows how collectors travelled Europe amassing large collections of rare and fascinating items. Depending on the wealth of the collectors, a collection might include anything from gifts and items purchased on the open market to objects looted or acquired on the battlefield. many of these great collections now form the basis of our modern museums. Collectors ranged from emperors and princes to doctors, apothecaries, artists, university professors and learned women. Collections of rare and fascinating items were status symbols for their owners. They provided a fascinating glimpse into the past and also into the tastes of the collectors. Room 7: Europe and the World, 1600–1720 – In Room 7 the V&A shows us how European lifestyles were radically altered by imported goods and materials. Trade, religious conflict and colonisation played a major role in these changes. 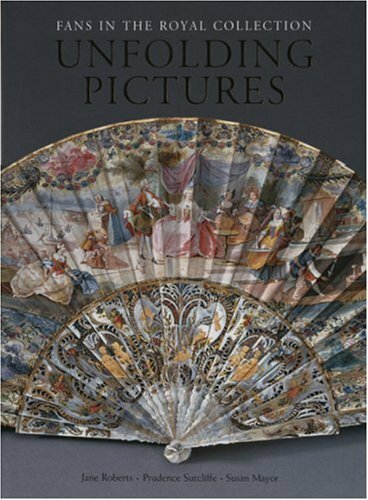 This book tells us the fascinating history of fans. New purpose-built cabinets allow close-up exhibition of rare examples of fashions and textiles, ceramics and glass, furniture and metalwork, as well as paintings, sculptures, prints and books, so there's no chance of being bored with this exhibition! To guide you through the Europe 1600-1815 galleries and to provide a lasting memento of your visit, the V&A has published a fully illustrated book entitled The Arts of Living Europe: 1600-1800. 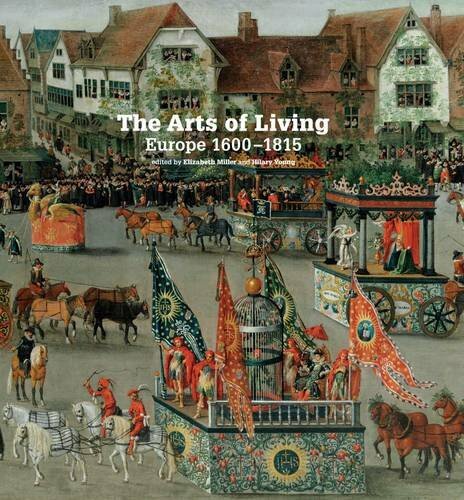 The Arts of Living Europe: 1600-1800 was published to help visitors enjoy the new permanent Europe galleries. The V&A Can be Found on Cromwell Road, Kensington.